Who could question Mayor Eduardo Paes’s concern for the well-being of the Olympic host city’s pedestrians? Yet those packed into the tram, just as they are jammed every day into buses for the interminable commutes from Rio’s vast working-class periphery, must wonder why such precautions were not taken to avoid the real danger: the bankruptcy of the state of Rio, which has suspended the salaries and pensions of tens of thousands of public-sector workers. Draconian cuts have been made to schools, hospitals, and mass transit while 39 billion reals (some $10 billion) is spent on the Olympics. 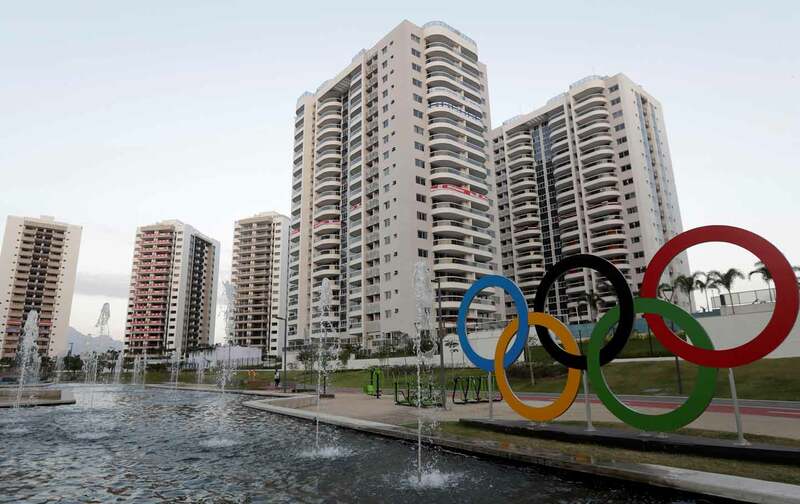 Two in three Brazilians interviewed this week by Folha de São Paulo said the Olympics have brought more problems than advantages. Others aboard the escorted tram might wonder why similar protections aren’t afforded to the 3 million workers who have lost their jobs since 2013. The recession, Brazil’s worst ever, has undone decades of progress in poverty reduction in a country whose income inequality shocked the world, back when inequality could still shock. By the end of 2016, the recession will have wiped out roughly 9 percent of the country’s GDP in two years. The economy looks set to contract further, with a full-blown austerity program now officially enshrined in Brasilia under the right-wing caretaker government of Michel Temer, who assumed power in May after what many call a legal coup d’etat. Usually in Rio, the depression comes after Carnival, but even before the Olympics’ opening ceremony, “we have the hangover right now,” muses Joel Birman, a psychotherapist who is hard at work in the upscale Gávea district, as Rio’s terrified and neurotic middle classes seek help. For the impoverished masses, the evangelical macro-temples perform a similar function. Here, Brazil’s burgeoning Christian conservatism—a key element of the movement that toppled Rousseff—stealthily builds its base among more than a fifth of the population. “I found freedom; now I worry only about the afterlife,” says Luis, who is seated in the back row of the Universal Church of the Kingdom of God in the neighborhood of Botafogo. Luis works for 1,500 reals ($500) a month as an assistant cook at a nearby restaurant and spends 200 reals a month on transportation to and from his residence, which is 90 minutes away in the outlying Duque de Caxias. The oil crisis has hit hard there, decimating employment at the local refinery and throughout the industrial hinterland, and wiping out the assets of the stricken, state-owned oil company Petrobras. The sell-offs—which also include airports and the postal service—will cosmetically lower Brazil’s budget deficit, which at 10 percent is driving up public debt. Yet as University of São Paulo economist Laura Carvalho has warned, fire-sale privatization will worsen public finances in the long run as dividends to the state disappear. “This is a trick of fiscal illusionism; even the IMF knows that,” Carvalho says. The irony is rarely acknowledged in the Brazilian media, but Rousseff’s impeachment was allegedly brought on by her administration’s use of the pedalada, a common and innocuous accounting technique, to temporarily reduce the deficit. (The term refers to the intricate fast-stepping used by Brazilian soccer players to deceive an opponent.) Last month, a special impeachment committee in the Brazilian Senate ruled that using the pedalada was not, in fact, an impeachable offense. Yet there is little chance that the Senate will reverse itself in its second impeachment vote in August. “The committee’s decision makes no difference at all—this is a soft, parliamentary coup, and the pedalada was just a pretext,” says Vladimir Safatle, a philosopher at the University of São Paulo. Under pressure from the once-powerful industrial confederation FIESP, which bankrolled the impeachment movement, Finance Minister Henrique Meirelles has backed off his promises to raise taxes and will instead place the burden of the austerity program on further cuts to public spending and investment. This would threaten the very foundation of the Workers’ Party’s antipoverty program. One proposal would condition the funding of already beleaguered state and local governments on their ability to reduce the number of poor families receiving the antipoverty subsidy. Worse, a new proposed bill would set constitutional limits on spending, locking in austerity ad infinitum and eliminating the minimum allocation for education and health. The financial markets are delighted by all of this. The most profitable investments in the world for the past six months have been the BM&F IBOVESPA share index in São Paulo and the real, which has appreciated about 20 percent since its low in 2015. Mainstream forecasters like the IMF trust that the economy has bottomed out and will begin to recover next year. Bank profits—led by the pro-impeachment bank Itau, the largest in Latin America—have soared as Brazil’s stratospheric interest rates offer lucrative opportunities for speculation (dubbed “proprietary trading”) in the government-debt market. “Dilma’s downfall was sealed when she tried to use public banks…to force banks to cut their interest rates,” says an economist at BNDES. The left is now divided between those who think Lula—still the most popular politician in Brazil—can drag the corpse of the Workers’ Party to electoral victory in 2018, and those who favor building an alternative. “Lula could still do it, if they don’t put him in prison,” says the BNDES economist, referring to the Petrobras corruption probe. Even if the former president avoids going to trial, Lula needs a party to lead, and the Workers’ Party’s existence may not be a given after the upcoming municipal elections in October, which will include 20 million voters in the megalopolises of Rio and São Paulo. “Their only argument is to create fear of what the right will do; they have no alternative program,” says Safatle.